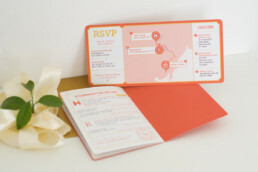 My dear brother and his fiancée asked me to design the invitations for their wonderful wedding day. 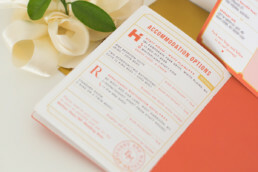 Of course, we wanted them to be as special as they could be, and they should stand out from all the other cheesy wedding invitations with a very classy look – a bit of a 40s style. 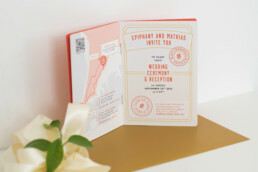 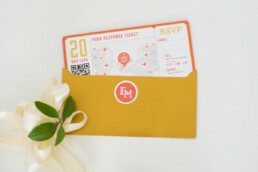 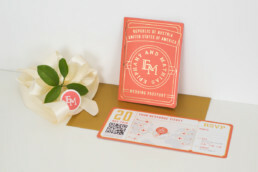 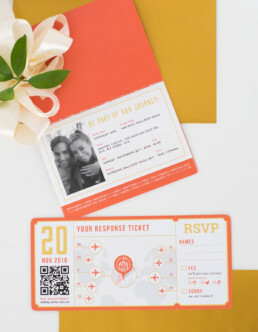 We created a wedding „passport“ and boarding pass because they met each other on a business trip, and because (of course) they both love to travel a lot. 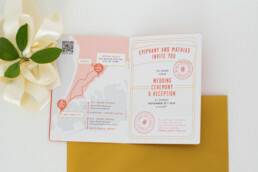 As they live in different areas, Austria and New York, and their family members are from everywhere around the world, we wanted to connect these distances in a playful way with maps and illustrations.